If you use WordPress, you may know that sometimes Google indexes archives organized by dates, tags, author or category. 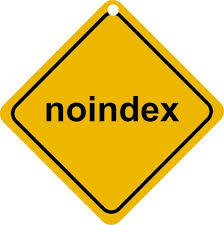 Should you noindex those pages? In fact, in wordpress, date, tags, author and category archives are automated generated content that is extracted from posts. In fact, those pages are partially duplicates of posts. We can’t compare it to a low quality post which is genuine content. Consequently, it would be logical to noindex date, tags, author and category archives because they don’t add any informational value. Furthermore, no user search for “may 2016 jojo blog” or “articles from jojo” on Google. In Google, I don’t think that many people look for reading articles from a particular month. However, it is more complicated than that. John Mueller also mentioned that pages with noindex,follow will be similar to noindex,nofollow after adding the directives. It means it is important to index categories otherwise, the google juice will not go through. Consequently, I would suggest to noindex date, author, tags archives only.